Dr. Grigorenko will be reviewing graduate student applications for the 2019-2020 academic year in two areas: (a) the Clinical Program and (b) the Developmental, Cognitive, & Behavioral Neuroscience Program. Application deadline is Dec 1, 2018. Please see Student Admissions, Outcomes, and Other Data for details. Dr. Grigorenko's background is unique because of her joint degrees in developmental psychology and molecular genetics. She completed her doctoral and habilitation qualifications in general and educational psychology at Moscow State University, Russia, and her Ph.D. in developmental psychology and genetics from Yale University. Dr. Grigorenko is a licensed clinical psychologist (CT) with a specialization in forensic psychology. 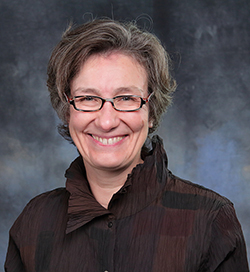 She previously held the position of Emily Fraser Beede Professor of Developmental Disabilities, Child Studies, Psychology, and Epidemiology and Public Health at Yale and joined the University of Houston's psychology department in September 2015. Dr. Grigorenko is also a Professor in the Department of Molecular and Human Genetics at Baylor College of Medicine. Dr. Grigorenko has published more than 500 peer-reviewed articles, book chapters and books. She has received multiple professional awards for her work and received funding for her research from organizations such as the National Institutes of Health, the National Science Foundation, Cure Autism Now, and the Foundation for Child Development. Dr. Grigorenko has worked with children and their families in Africa, India, Russia, Saudi Arabia and the United States.